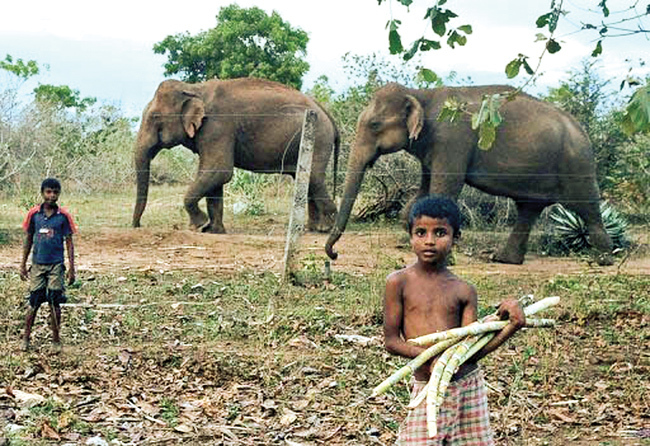 Farmers and elephants have struggled with each other to protect their territory from the other, for the last several decades in Sri Lanka. The struggle has captured the attention of local news channels frequently due to damage to property, destruction of crops and the loss of human life, all of which is collateral damage. This has led the people to constantly ask for a sustainable solution to the problem and the search for such a solution emphasises the necessity of a dialogue on the mitigation of the human elephant conflict (HEC). Respective government agencies have given the issue their consideration. However, measures such as electric fencing have not addressed the problem completely. This failure has created many negative impacts on both elephants and humans today. Statistics from the Department of Wildlife Conservation (DWC) show a huge loss and damage annually due to this struggle. 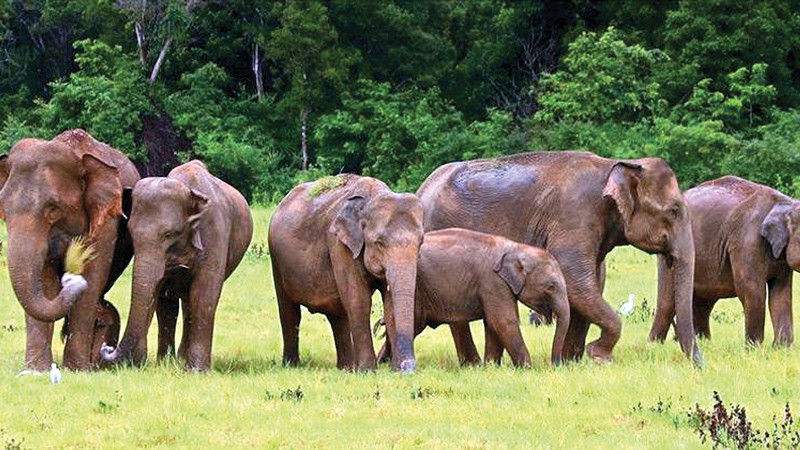 On the face of it, the public is generally aware that the Department of Wildlife spends large amounts of public money to compensate persons for the damage caused by wild elephants every year. However, what is not often seen and yet critical is that though the existing monetary compensation schemes may help victims re-build their livelihoods to a certain extent, there are several unseen and uncompensated cost components in their lives which can lead to a problematic situation in many ways. Cost components such as lost labour, lost time spent on crops and plantations and destroyed houses and buildings have not be considered in the existing compensation scheme. For instance, compensation for significant damage to a mature coconut cultivation caused by elephants may not consider the labour, effort and the incurred lifespan of the farmer. Moreover, the actions that are made on protection of crop lands, adaptation measures and risk-mitigating practices may not be accounted and will remain as unseen costs. These unseen costs would rest upon the shoulders of the individual farmers. In this backdrop, monetary compensation purely based on market values and estimations are smaller than the actual damage incurred. The existing monetary compensation schemes help farmers build resilience inadequately and somewhat slowly. A severe shock may take many years to recover with such small compensation and support. Thus compensation must be given to cover at least some portion of unseen costs by taking into consideration the views of the victims. Stakeholder discussions and farmer-centric strategies are needed to be implemented to identify appropriate compensation. For instance, similar issues have been researched in African countries and they have identified the importance of unseen cost components. Nevertheless, the restoration process after a shock may require some other support like building materials, farm equipment, proper coordination, awareness and management. These non-monetary forms of supports are also critical even though liquid capital is more often than not preferred by farmers and frequently offered as compensation. Investment in and development of lands are also risky choices as a result of the persistent conflict with elephants in areas where the struggle exists. Further, it has reduced land values and created poor markets for real estate. The farmer has also, to a great extent, been limited from migration or the selling of their property in search of new safe habitats as a result of the conflict. Thus, they have been trapped in a frame which is uncommon and unseen generally elsewhere in the island. All these matters need to be taken into account through proper dialogue on behalf of the victims. The frequent encounters and expectations of such situations could badly affect the mindsets and reduce the mental freedom of those who experience this as a daily occurrence in their daily lives. This fear and unpleasant situation may cause disappointment and limit the expectations of farmers. This too has been researched in African countries where similar issues exist. In certain studies, it has been observed that the affected people have poor mental health. Moreover, farmer’s investment decisions have been affected by this phenomenon badly and this has resulted in poor income opportunities from their farms compared to other farmers. For instance, their decision making criteria has an additional risk component of ‘elephant encounters’ in contrast to other farmers. This may result in limited selection of crops and combinations. This opportunity cost of selection would add poor financial returns in comparison to other farmers. In addition, their daily routine has to be planned considering the unexpected elephant encounters. Therefore, actions like accompanying children to and from school and taking a patient to hospital during the night have to be performed in a more careful manner with mandatory supervision. These actions may require additional efforts, labour and time compared to other rural people elsewhere in the island. Therefore, from an economic perspective, their everyday actions are accompanied with a greater cost and time factor. When considering the elephants as a resource to a particular area, two parties can be clearly identified that benefit differently at the same time. They are tourist hotel owners and shop owners, especially near national parks. Due to the high number of tourists, these parties enjoy financial benefits and are better off due to the elephants. On the other hand, farmers are worse off due to the same group of elephants raiding crops and damaging property. They experience threats and struggle to live while sacrificing their leisure and happiness against elephant threats. This emphasises the necessity for proper monetary compensation to the people who take in the negative externality of the resource. However, this hidden cost component is not addressed and neither have measures been taken into consideration to effectively distribute the benefits equally to all. Thus it is good to use a proper benefit transfer method such as an additional hotel fee or fund to take care of the victims in the corresponding areas. In this regard, the awareness of all stakeholders and their mutual understanding of the problem are important. Farmers do not engage or benefit usually from tourism. Thus, opportunities for selling their harvests to hotels or arranging special markets will distribute some benefits to the farmers. Promoting non-agricultural income activities via small industries like handicraft making and focusing on tourism may diversify their income sources. Such activities may contribute to changing their attitudes towards the elephants in a positive manner and reduce cruelty towards them. When considering the elephants, they are the opposite side of the coin. They seek food and water in human settlements when they face scarcity in the jungle. This is especially observed during frequent crop raids and encounters during the drier seasons. This emphasises the importance of considering the ongoing climate change turbulence when planning elephant conservation mechanisms and farmer adaptation mechanisms. These adaptation mechanisms may require precise weather forecasts or climate information products (CIP). Thus, these actions may have aggregated costs to society; such an example is the research and development of farmer-specific weather information dissemination systems. Nevertheless, individual costs also may result due to certain adaptation practices like irrigation and cultivation of crops which are less attractive to elephants to avoid pursuing such risks. Importantly, some farmer practices also have been observed which cause losses to farmers themselves. For example, many farmers have cultivated up to the margin of the protected lands without considering the importance of established buffer zones. Crops that elephants favour have been cultivated very close to the electric fence, which provides a certain attraction for the elephants to trespass the fence boundary. These kinds of cultivations are highly vulnerable to destruction. Therefore, it can be mentioned clearly that some farmer actions too have contributed to creating conflict situations. Some available protection mechanisms require more public participation (effort) and attention for their successive use. As an example, bio-fencing processes may require more public attention. Palmyrah bio-fences are efficient in controlling the elephant trespassing at the park border. However, certain actions like uprooting the young palmyrah trees for use in cattle feed by villagers inhibit the continued usefulness of the fence. Cattle owners usually uproot them at seedling stage ignoring its importance. This wastes public money which was used in the establishing of such bio-fences and those affected once again ask that the government to provide them with compensation instead. Some plant species attract elephants less with the animals showing an inherent dislike towards them. In this regard, fruit plants like lemon and medicinal plants like Malabar nut (Adhathodavasica) (Pawatta/Adathoda) can be cultivated to discourage elephant trespassing. These plants help to earn a small income while repelling elephants. These actions need more effort and farmer dedication because their success is more farmer-dependent. These additional actions usually remain as unseen components in the ‘big picture’. This information was found by research conducted in the Udawalawe National Park in 2016. Even though the research was carried out in the Udawalawe area, this information and context have a validation to many areas in Sri Lanka where this struggle exists. Moreover, the particular findings fitted with the similar research findings conducted in the African region. Finally, possible remedial measures and socioeconomic approaches need to be linked with scientific actions like electric fencing. This integration can lead society towards achieving a sustainable solution. For instance, proper compensation mechanisms that include hidden costs are required, as highlighted, to build the resilience of those who are affected. Further, the climate and weather-related information gap must be filled with suitable research action to forecast possible threats early. Social welfare and economic benefits from the elephants must be distributed equally among all the beneficiaries via proper price mechanisms. 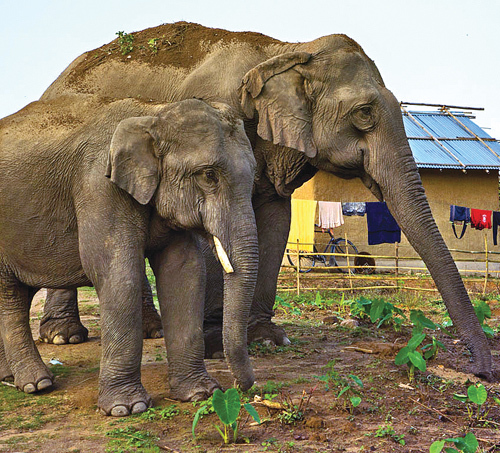 Farmer adaptations to avoid elephant threats by cultivating crops that deter elephants should be promoted. Participatory management approaches like the existing Gajamithuro programme must be promoted.